The Thrill Ride That Literally Flings You Into Fun! The name of this extreme Coney Island ride says it all, providing a near-out-of-body experience thrill seekers crave. There’s nothing quite like the feeling of anticipation hopping aboard the Sling Shot, buckling into an open-air cockpit and preparing for launch on one of Luna Park’s wildest rides. Brooklyn never felt as exciting as you fly over 150 feet into the sky at speeds up to 90 mph. Scream your head off and then hold your breath as the laws of motion take effect, hurling you back to the earth in a fluid series of spinning inversion. Capture your Sling Shot experience with a commemorative in-flight video on a cool bracelet flash drive that’s easy to edit and upload for sharing on social media! Searching for things to do in NYC with friends to get your heart pumping? 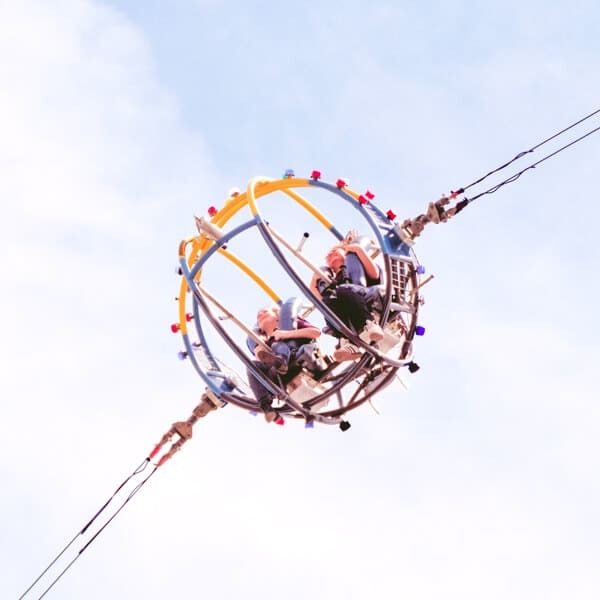 Experience the Sling Shot today at our amusement park in Coney Island!